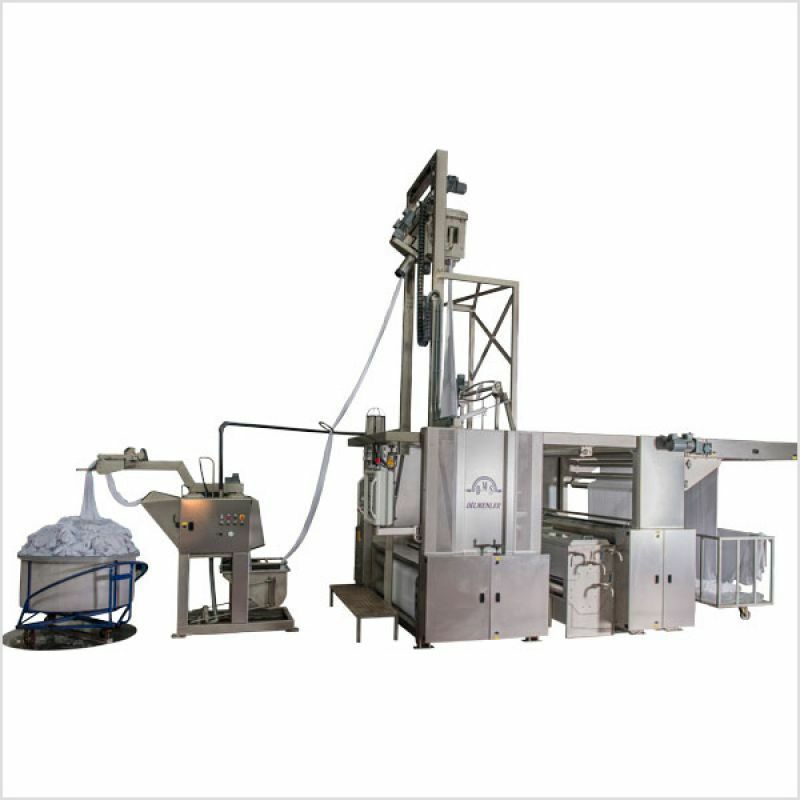 • Is for the pre-squeezing off fabrics in the form of tube wet and dry, to bring to open width and homogen squeezing and stacking of the padding mangle later. • Is suitable to widen fabrics in the form of rope wet or dry with the assistance of a scrambler, homogenic squeezing and stacking. Rope opened at the detwister is cut to open width with tower cylinder after squeezed by the low pressured pre-load cylinder is delivered to the tube cutting unit. 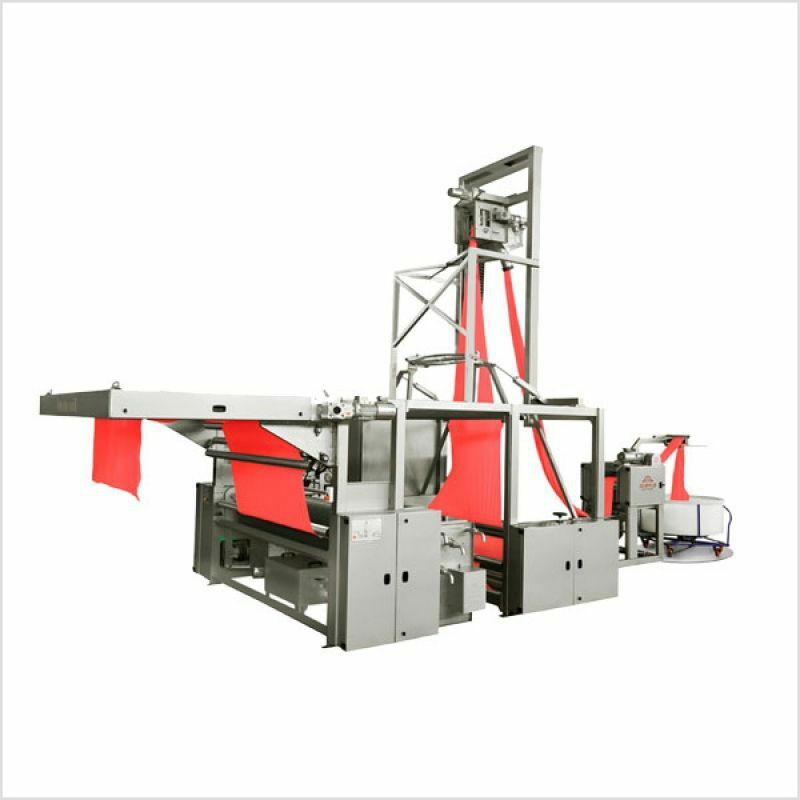 Detwister working in synchronize with the rotary table provides the rope form to open. Rope opened at the detwister is cut to open width with the photocell. It is possible to adjust the tube size between 30 and 80 cm according to the type of the fabric. Cutting process of the tube is done manually and automatically. cylinder. Enzyme cleaning takes place once enzyme fabric on padding mangle tub is washed back and forth with 20 pieces of nozzles. The work is complete by stowing after being homogeneously in the padding mangle tub going through the willow cylinder. Machine 2 or 4 is manufactured in two different versions as squeezing roller.